Ce blog en français se trouve ici. 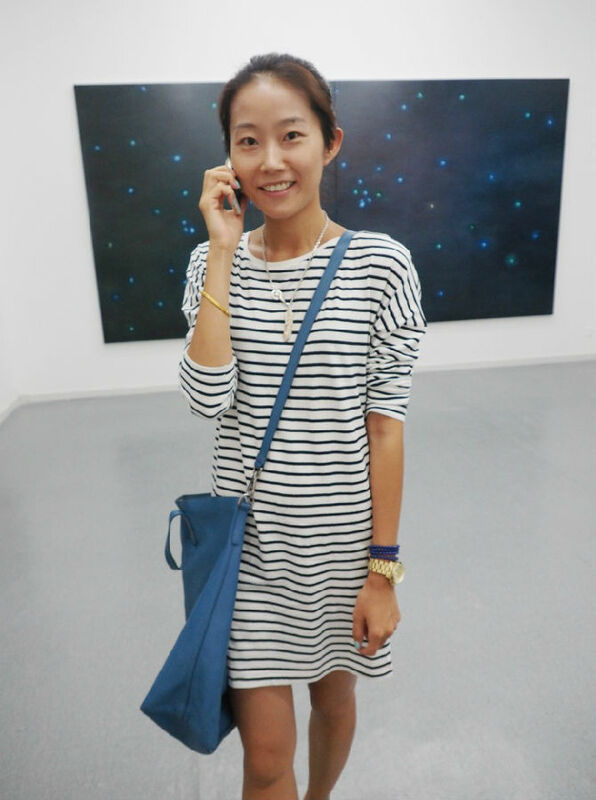 This last Saturday I was invited to preview the Chinese artist Konglingnan latest work. 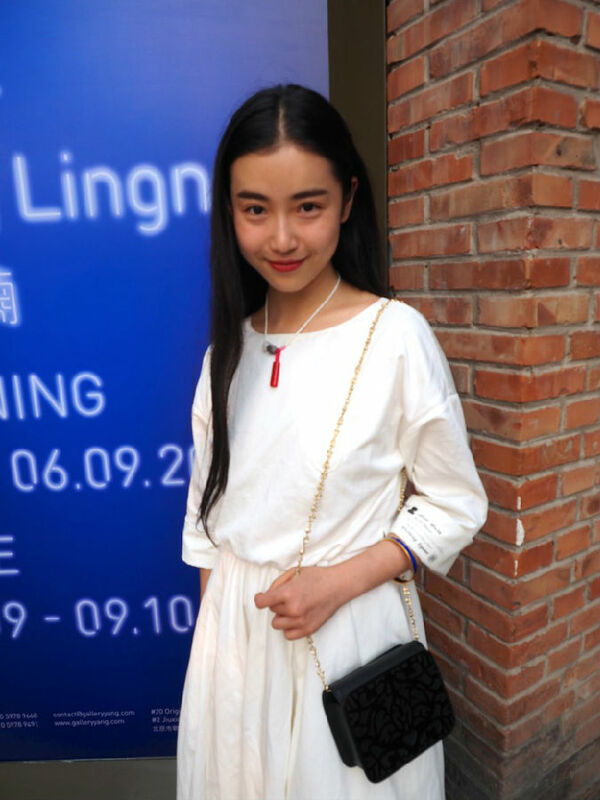 Kong Lingnan wearing her own jewelry. A beautiful mix of semi-precious stones and her small talisman. I met Kong Lingnan about 2 years ago at the Vogue 7th anniversary party in Yintai. She impressed me then by her cool elegance. 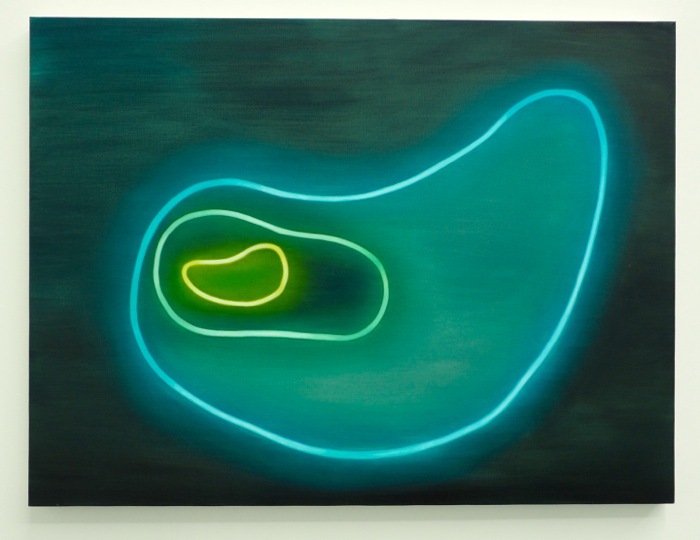 Later, as I admired a particular neon piece with a « Swiss » feel and a lonely red cabin dangling in the air, we had a chat and she told me that the piece was hers. That night, in a sea of glamorous creatures, Kong was, in my opinion, the most elegant one. I met her again last year, in her Beijing atelier, to discuss more in details her work, and once again she was amazingly chic. 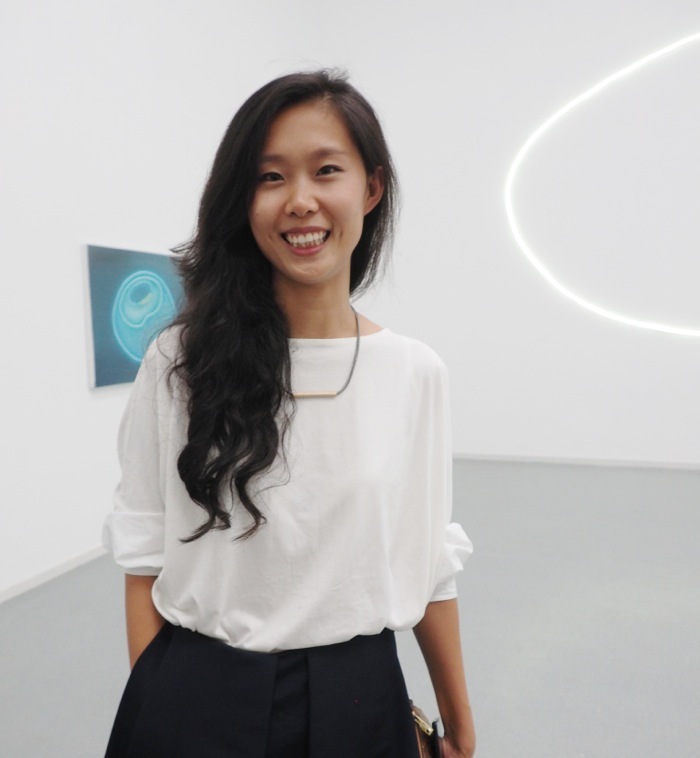 We ended up discussing art and the evolution of her style both as an artist and a woman. Then Saturday, I was lucky to be invited to the opening of BEACH. Her new work. Kong Lingnan has moved into a new direction with a more abstract narrative. Islands, sea, night, all these elements with her dexterity become intriguing. The colors clash, and under her fine hands, her signature special neon light gives off a dreamlike aura, bringing the viewer into an imaginative journey at sea. 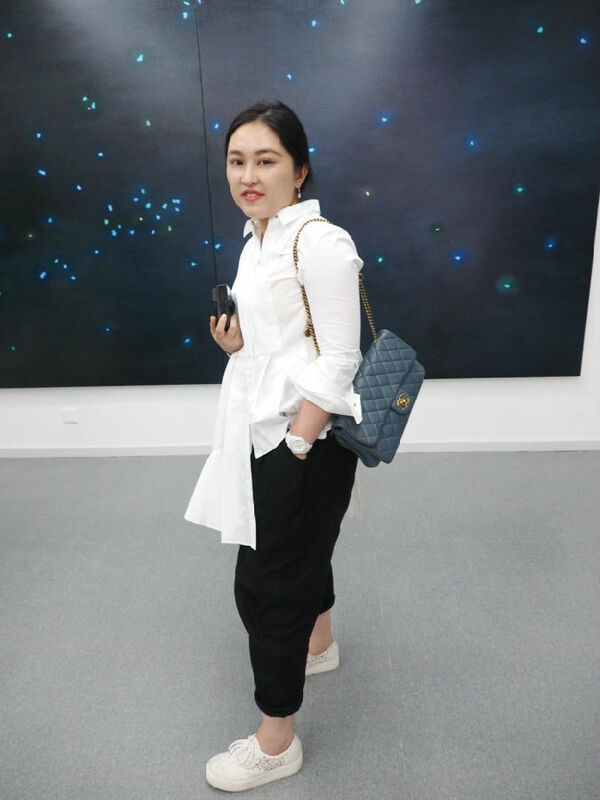 I am not an art critic, but I absolutely loved it and strongly recommend if you are in Beijing that you quickly visit the Yang Gallery to take a look for yourself. 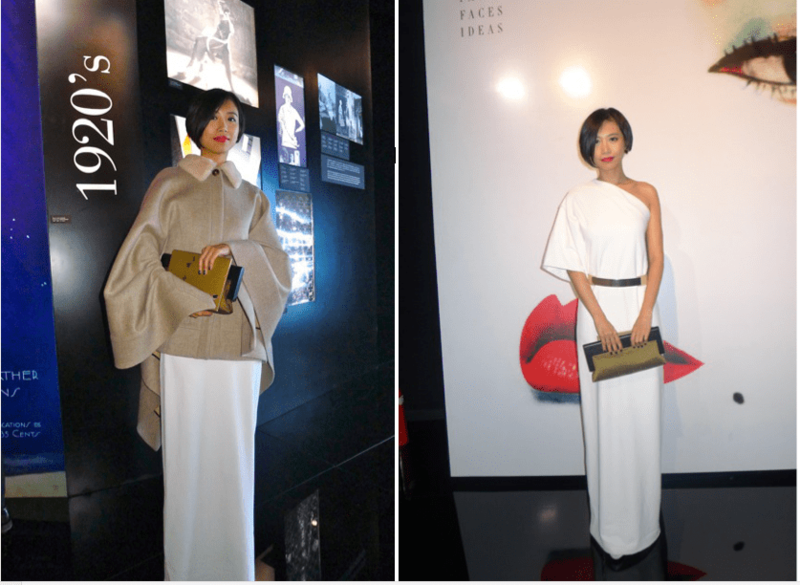 What I am an expert at is fashion, and the cool elegance of the many Belle du Jour that came to the opening was fabulous. Each single girl was supremely chic, yet understated. 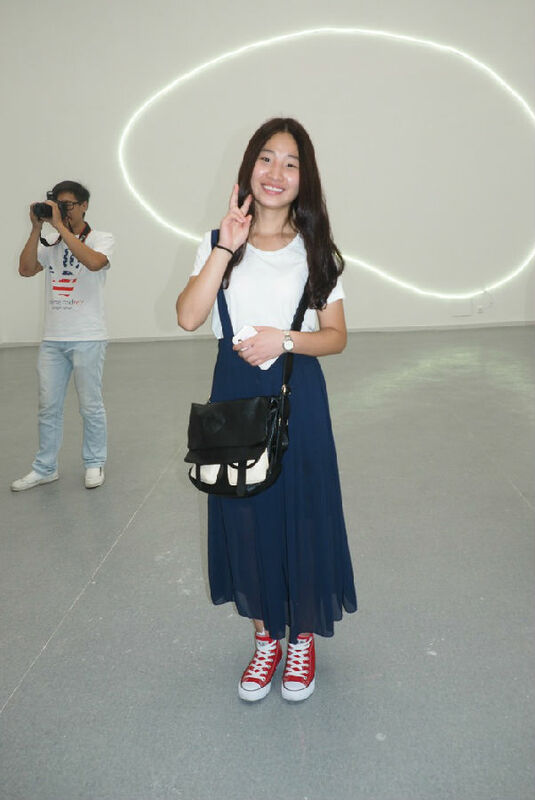 These next few weeks as the Fashion Weeks are rolling worldwide we will drown in images of ridiculous creatures competing in « silliest fashion looks » so I was happy to find this pocket of understated elegance in Beijing. 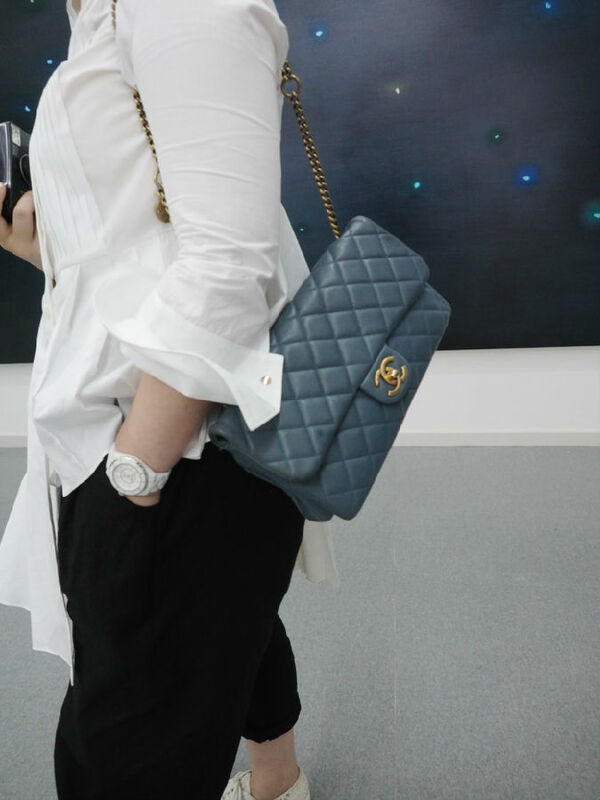 Loved the bag (who does not love Chanel) and the asymmetrical white shirt. What they all had in common was a simplicity. No bling, no unnecessary accessories. All the women were understated and chic in a minimalist palette of black and white or navy and white, red saved for the lips. 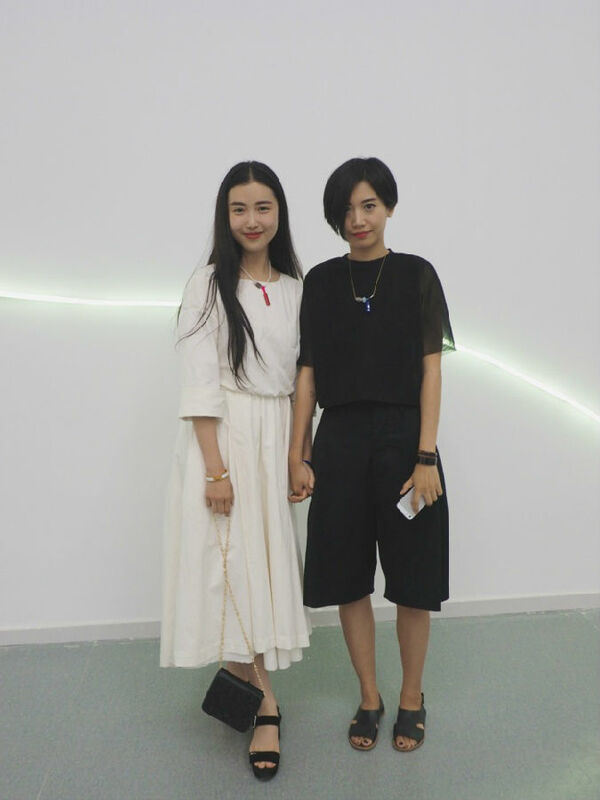 The artist herself looked amazing in a black total look while her friend, the model Zhang Xin Yuan was perfectly simple in a white dress. Loved the simple black bag. French classic. 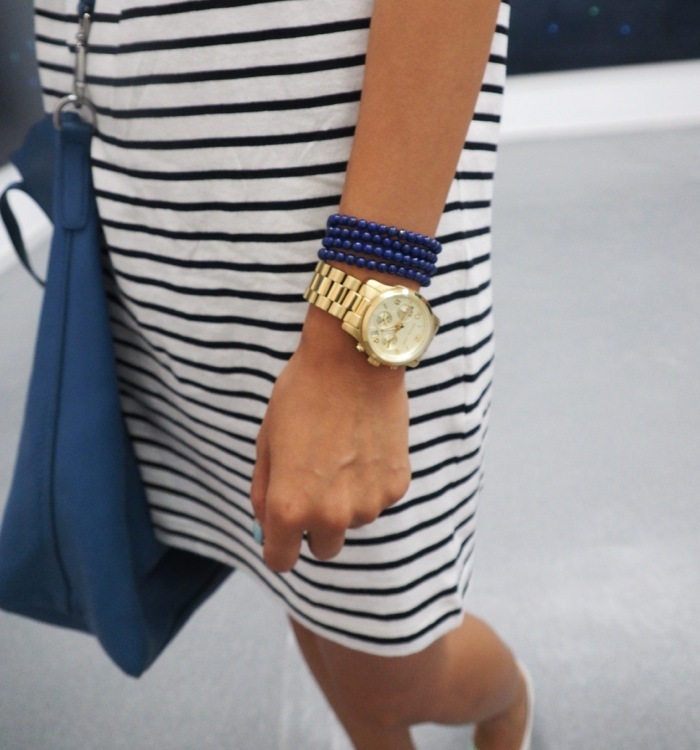 The striped dress. Beautiful touch of the gold watch… A very feminine metal in a most masculine shape. A classic… the red touch of Converse Chuck Taylor. Lovely.